We searched in MEDLINE and PubMed for studies concerning RYGB and SG for SO or SSO and pooled complication, percentage excess weight loss (%EWL), and resolution of comorbidities. Twelve studies were identified. RYGB achieved higher %EWL at 12 months, but no significant difference at 24 months. Resolution of diabetes mellitus and dyslipidemia reached a statistical significance; however, there was no significant difference in hypertension. RYGB was superior in %EWL for SSO and SO at 12 months. However, regarding at 24 months, RYGB was equal to SG, which is from a meta-analysis and cannot be seen as a definitive conclusion. Arapis K, Makrina N, Diana K. et al. 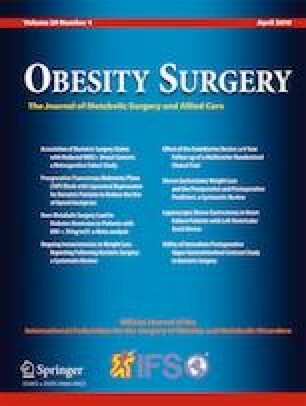 Outcomes of Roux-en-Y gastric bypass versus sleeve gastrectomy in super-super obese patients (BMI ≥ 60kg/m2): 6-year follow-up at a single university. Surg Obes Relat Dis. 2018. https://doi.org/10.1016/j.soard.2018.09.487.